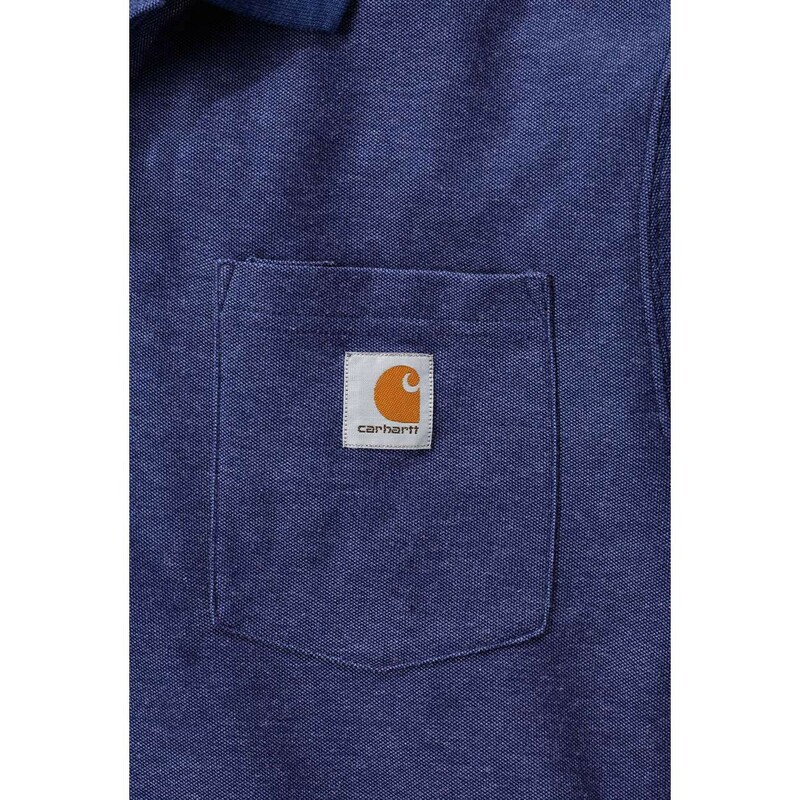 The Carhartt K570 is constructed from 6oz/204g 65% Polyester/35% Cotton Pique Knit. 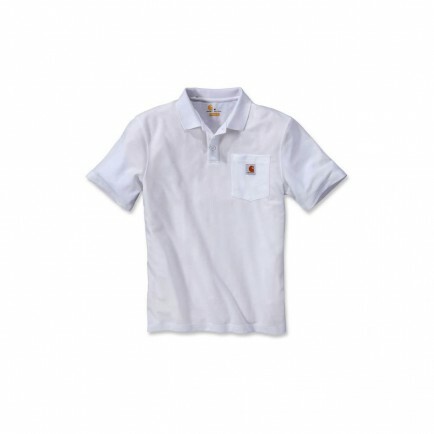 It is a colour-fast fabric with stain release finish. 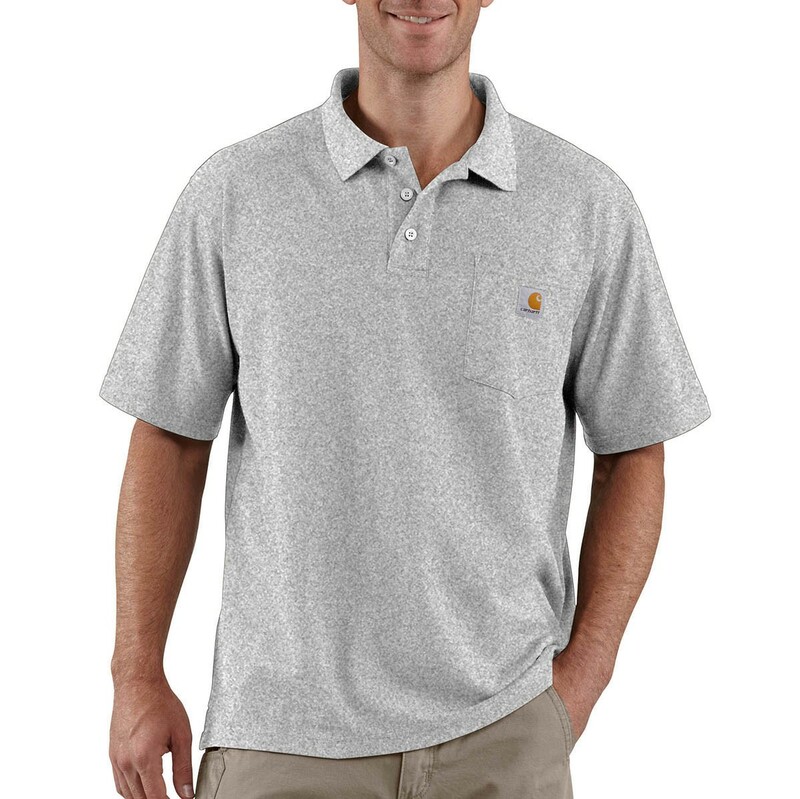 It has a no-roll rib knit polo collar. 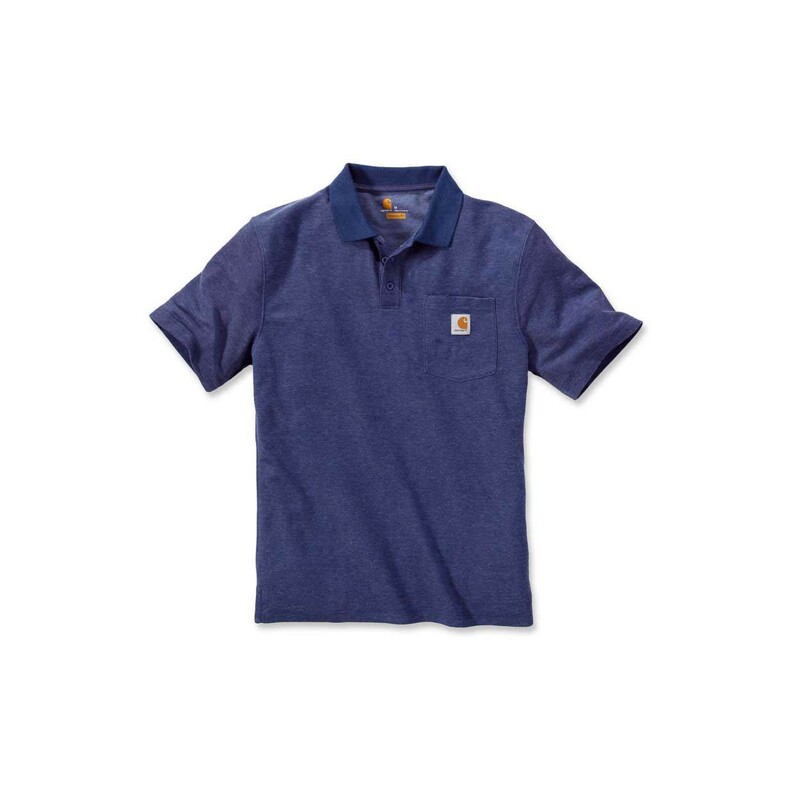 The open, non-banded sleeves offer increased range of motion. 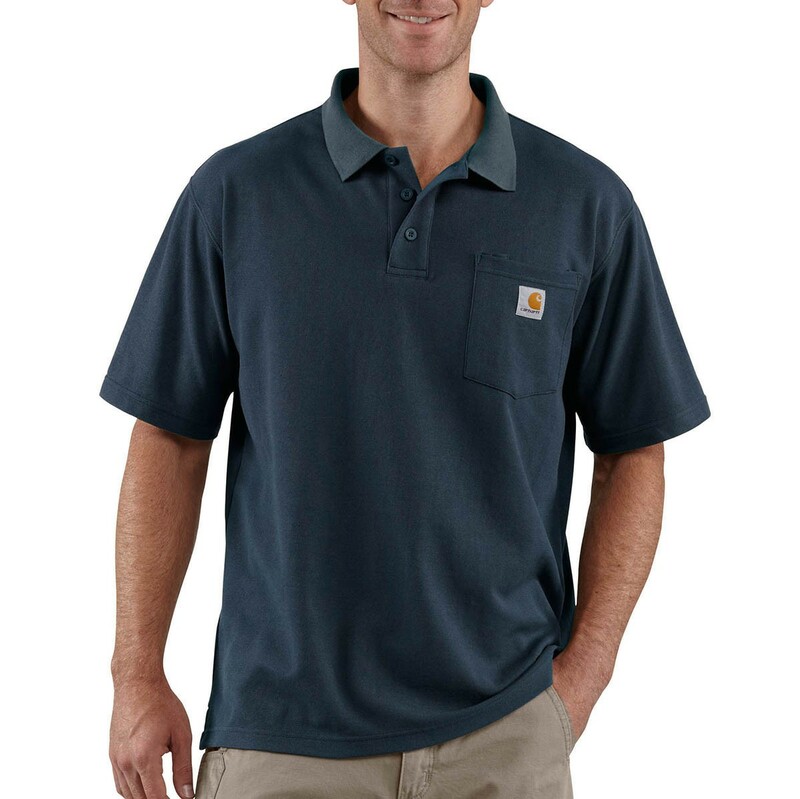 It has a three button front and a left-chest Contractors Work Pocket with unique silo for pens, pencils and tools. 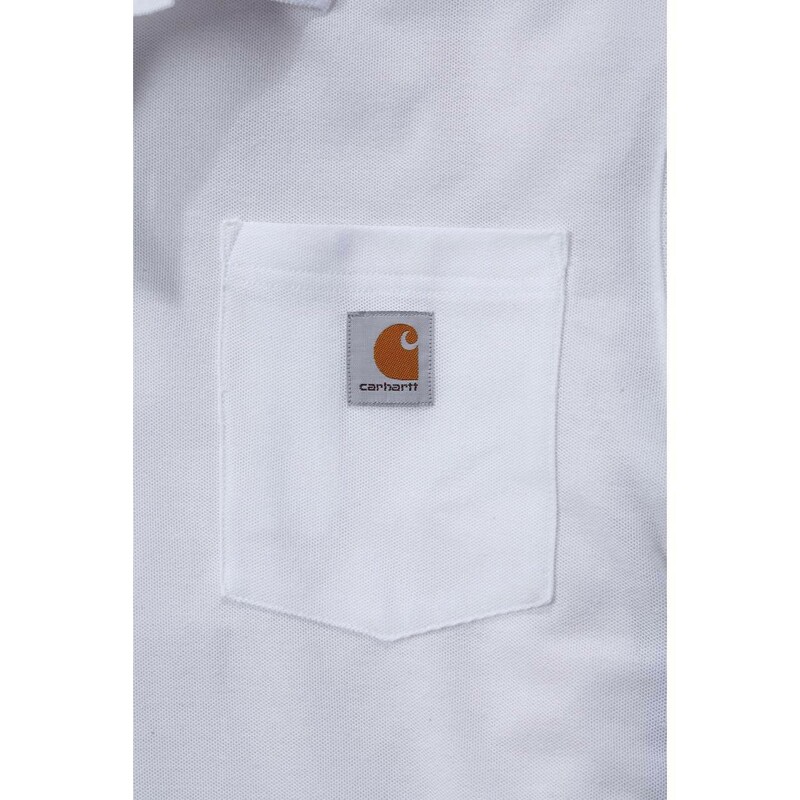 It has a square bottom with side vents and a tagless neck label. Carhartt garments are generously sized so you may wish to drop down from your regular size when ordering. Have been buying these for the last few years. Hard wearing, easy to wash and comfortable.